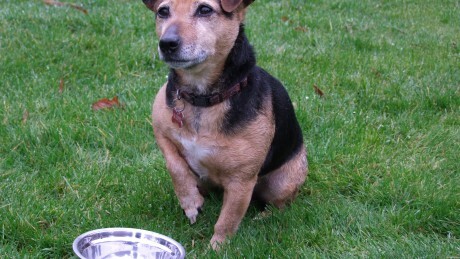 Choosing the right dog food is important. 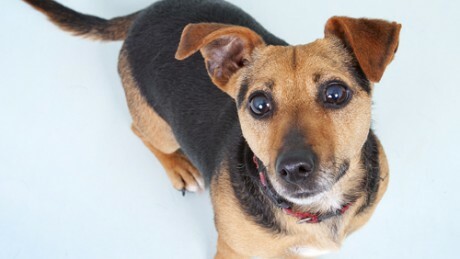 Most dogs are not fussy eaters: many would eat almost anything tasty that you put in front of them. 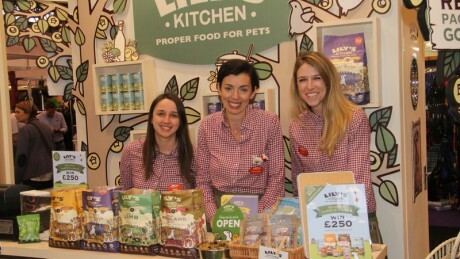 There's a vast range of pet foods available on the market, and there are many strongly opinionated views on which is best, from cheapest to priciest, raw to uber-processed, meatiest to vegetarian. 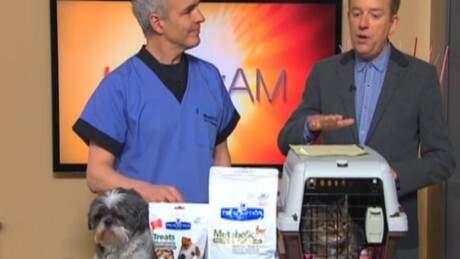 This week, Pete talked about pet food. Dogs are what they eat, so it is important to get their food right. 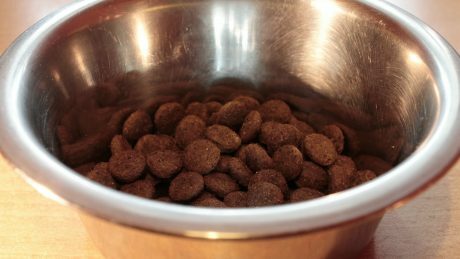 At a recent conference, Pete learned some surprising facts about pet food during a debate about the pros and cons of commercial vs home cooked feeding of pets. 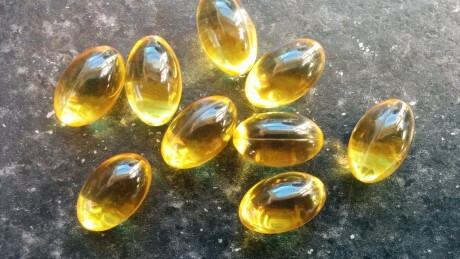 The subject of fats and oils in our diets is challenging: what we "know" one year (e. g. butter is bad for you) is found to be untrue several years later. 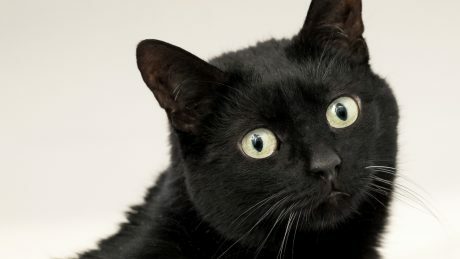 Cats and dogs with arthritis are common. 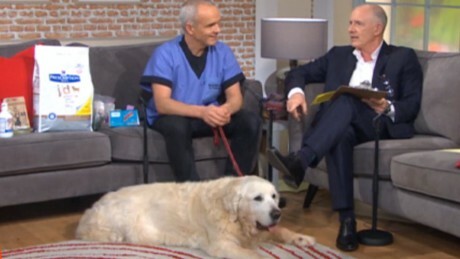 This week on Ireland AM, we discussed some novel treatments for arthritis in animals. 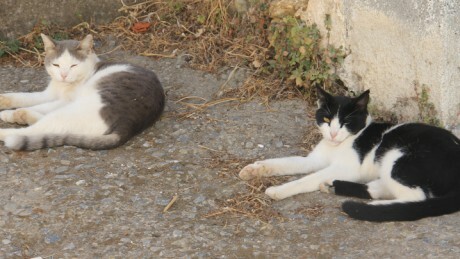 This is National Feral Cat Awareness Week in Ireland, which provided the starting point for our discussions this week. This week, a listener texted in a query about feeding dogs raw potato skins and pea pods. After answering this, we went on to discuss dog nutrition in general. 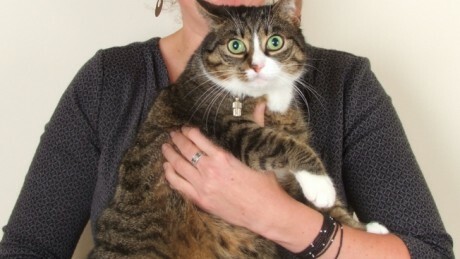 Diabetes in pets is increasingly common, partly due to the link between obesity and the incidence of the condition. ISPCA raided a puppy farm in Co Carlow last week. 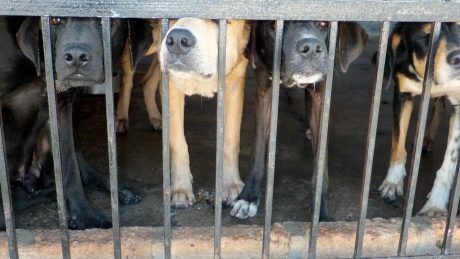 The conditions were described as "absolutely horrendous", with ISPCA Inspectors seizing 52 dogs of mixed breed and type. 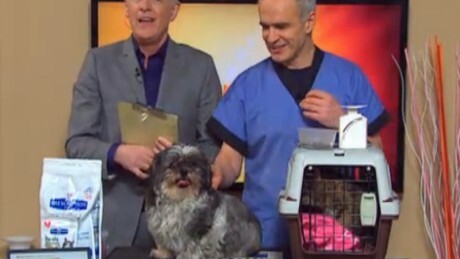 This spring, the vet spot on Ireland AM has been focussing – via Project Pet Slimdown – on helping one podgy pooch (Gizmo) and one cuddly cat (Pushkin) lose weight, using a combination of� ..
Pet obesity is astonishingly common. 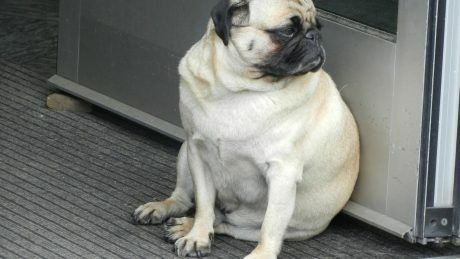 The proportion of overweight and obese pets varies from study to study, but it's thought to be between 33 and 58%. I've written an article at the Telegraph about overfeeding pets and the consequence of pet obesity: the biggest cause of suffering of Western pets. To read the article, click here. 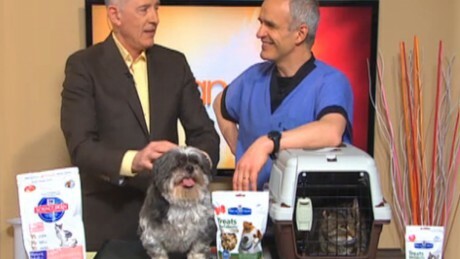 This week, we continued Project Pet Slimdown with another weigh-in of Pushkin and Gizmo, followed by a discussion about giving treats to pets. 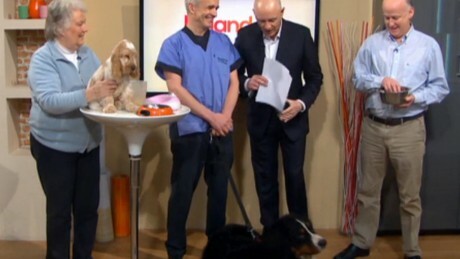 This week on Ireland AM, it was time to reweigh the two overweight pets that are our model patients for the series. Two weeks on, they had both lost weight, but only a small amount.